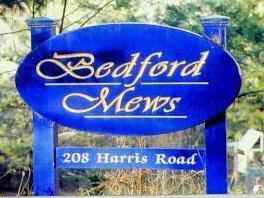 Bedford Mews is a lovely condominium community featuring 145 units located on Harris Rd. in Bedford Hills NY. Features include pool, clubhouse, playground, basketball court. Easy commute to Commute To Town, 684, Saw Mill Pkwy and Metro North.